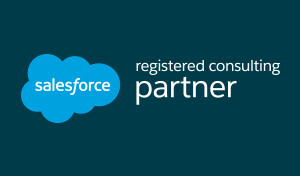 ScienceSoft is proud to be acknowledged as a Registered Consulting Partner under the Salesforce Partner Program. With this step, we grow our multi-platform expertise in Customer Relationship Management (CRM) solutions, which now extends to both Microsoft Dynamics and Salesforce suites of products. Founded in 1999, Salesforce is a market-leading cloud computing company and provider of the world’s #1 CRM platform that today empowers over 100,000 businesses worldwide. Our partnership status is a recognition of our company’s commitment and maturation of our Salesforce consulting practice, specifically in the domains of Sales, Marketing, and Analytics. This strategic move will allow us to tap into Salesforce’s exclusive resources, enablement tools and training opportunities to leverage the competencies we have been gaining for the past 8 years. Since 2008, ScienceSoft’s CRM and Collaboration Department has been committed to delivering industry-specific CRM and CXM innovation on Microsoft Dynamics CRM for Healthcare, Retail, Telecommunications, Banking and Manufacturing, among others. Now adding the Salesforce platform to our stack of full-cycle CRM consulting and customization, we set out to enrich our hands-on knowledge and multi-disciplinary thought leadership to be effectively reflected in our professional practice. How Much Does It Cost To Make a Mobile Application?